Last night, Stirling’s Research and Development Manager, Dr Simon Hancock, and Aerospace & Marine Systems Business Manager, Gareth Vaughan, attended the Insider Made in the South West 2017 awards held at the Mercure Bristol Grand Hotel. This annual award ceremony celebrates manufacturing across the South West and gives companies in the region the opportunity to celebrate their achievements. 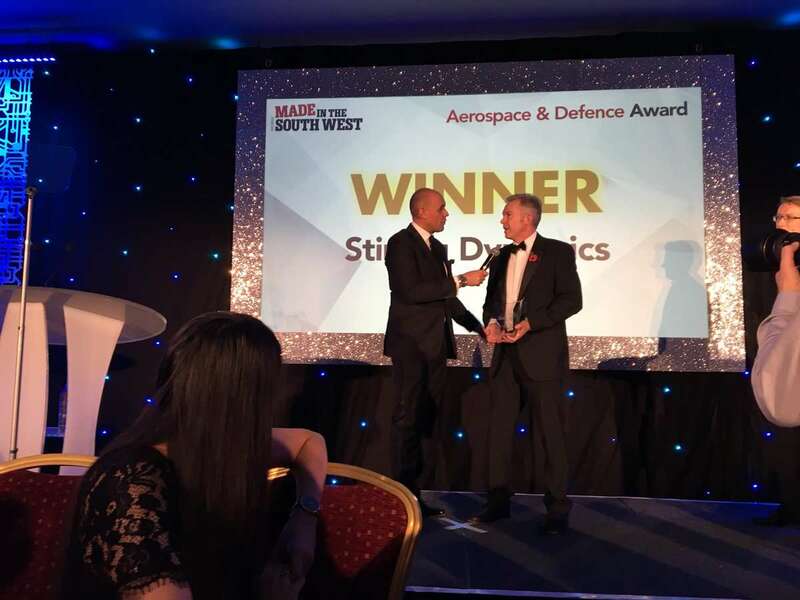 Stirling was thrilled to receive the Aerospace and Defence award and were recognised as “a great example of a South West SME competing against larger international players”. The Aerospace and Defence award recognises the best-in-class for all elements including innovation and pioneering technology, local impact, improved efficiency and sustainable growth. On receiving this award Simon Hancock commented “The level of competition in this category was very high; the other nominees were amongst some of the largest Aerospace and Defence companies in the South West. For Stirling, this is a testament to the hard work of each employee over the last year and highlights the impact we are making in the region”. Headquartered in Bristol, Stirling delivers a range of complex systems and engineering technical services to the aerospace, marine and training and simulation markets.